I didn’t expect to be writing about global warming so soon again after my last post. But I spent a week at wine shows talking to winemakers, so of course the subject came up. 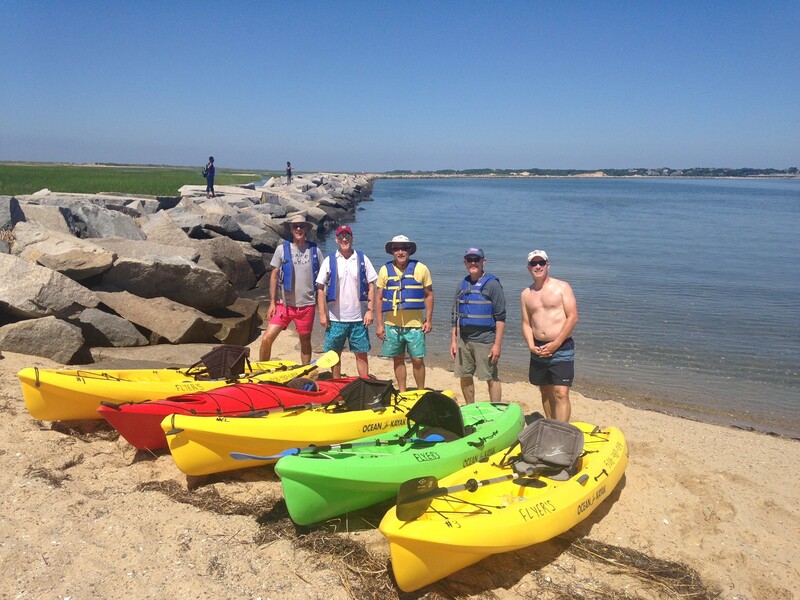 It was a pleasure talking to people who are on the front lines adapting to climate change. And the shows I attended were in Lisbon and Montpellier, so the fact that there were so many similar concerns across different wine regions was troubling. While I was away, I saw that a few wine bloggers I read regularly also wrote about global warming and wine. (I’d like to think I kicked things off!) But I didn’t read much about winemakers’ geographic-specific concerns and what kinds of steps they and grape growers are taking. Talking to French and Portuguese winemakers, I learned that trying to make their wines under changing climate conditions has been an exercise in science, patience, and in some cases, a return to techniques of the past. And some of the techniques are things that put them in conflict with the rules of their particular appellations, which adds another layer of complication. That’s an awful lot for one blog post, so I’m going to concentrate on effects of global warming in this one, and then some of the ways winemakers are coping in another. Everyone mentioned that the harvest gets earlier and earlier. But one winemaker in the Alentejo region of Portugal told me that the harvest has moved up by six weeks during his 20+ years in the wine business. Spring bud break hasn’t moved up as much, so the growing season is significantly shorter than it was even 10 years ago. This means that certain flavor compounds don’t fully develop, since they rely on time on the vine rather than the sugar content of the grape (which is more a function of weather). While shorter hang time for the grapes is often cited as a consequence of global warming, the earlier harvest has other impacts. For example, some winemakers also insist that the cooler weather of September and October imparts a richness to the grapes that is more and more difficult to achieve when harvests take place in early August. 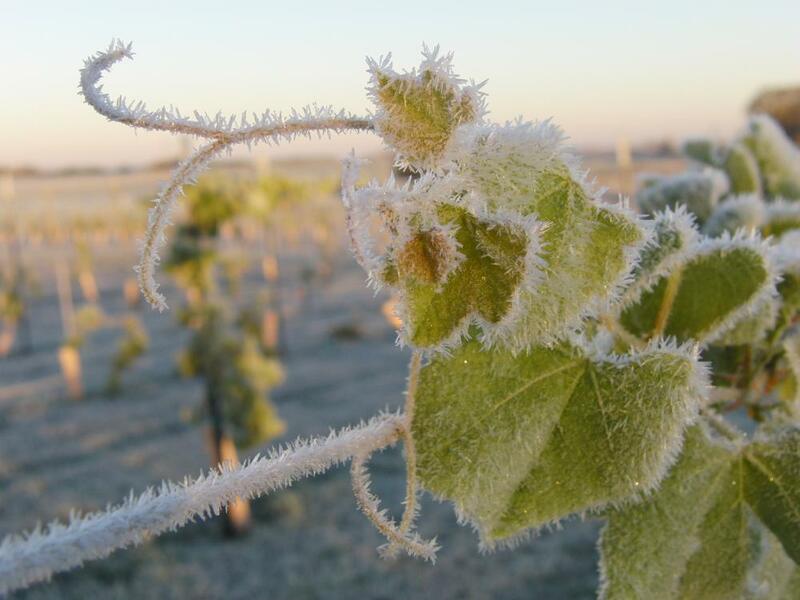 And it also makes late-harvest wines and icewines more problematic and difficult to produce. In some ways, earlier bud break due to a shorter/warmer winter can create more havoc than the earlier harvest. If bud break moves into a time when the region has had traditionally colder weather, chances are greater that there will be a cold-weather event that can damage or destroy the buds. Larger wineries with more cash on hand can sometimes use propane heaters in the vineyards to stave off freezing, but that’s not an option for most. All of the producers I import from in the Languedoc experienced some decreased yield in 2017 from freezing after bud break. Most people think of global warming in terms of everything just getting warmer. But as winemakers (and Californians) have come to learn, it causes more potentially extreme weather – hot and cold, drought and lots of precipitation — even during what otherwise seems like a normal growing season. A winemaker in Bergerac I’ve imported from avoided the freezing after bud break, but he had to contend with hailstorms after the grapes had started growing. This hadn’t happened before in all his years as a winemaker. Overall, his yield for 2017 was down 70% from 2016, and he doesn’t have any wine to sell me after meeting his local commitments. The other important thing that the winemakers want people to understand is that while there’s a perception that years with warmer growing seasons make better vintages, that only happens because those warmer summers were formerly the exception rather than the rule. I’m thinking of 2003 in the southern Rhône Valley, for example. That year produced some amazing red wines. But it’s only because the vines had more normal summers from 1999-2002, and again from 2004-6. Grapevines can respond to the stress of a single warmer growing season with great results. According to the producers I spoke with, this is totally different than the constant warming we’ve experienced in the past decade. You don’t get the same great results if every summer is warmer than the last one. Finally, I also learned that climate variations affect the amount and type of natural yeasts in the air. Yeast content and character already varies by geography, as we all know. But if a winery counts on natural yeast for fermentation, variability is an issue. In some cases, reduced ambient yeast can mean that other (undesirable) microbes can take over during fermentation. A couple of winemakers told me that they have made the decision to supplement with added manufactured yeast to gain some consistency from year to year. A straightforward solution, but I also heard some sadness and resignation that their most traditional and (to use a much-maligned word) “natural” practice had to be abandoned. All of this sounds pretty dire. But winemakers are nothing if not resourceful, and I learned about techniques I hadn’t heard of before to cope with the global warming-associated changes. I’ll write about them in a future post, so stay tuned! Over a decade of blogging, I’ve decided that the hardest thing to do is transition from a blog post about wine to a recipe. There are exceptions, of course — interviewing cookbook authors about wine makes it easy, as does talking about a particular wine. But a post on global warming? I’ve decided the only thing to do is launch right in, smooth transition or no. So cue the needle scratch, and here we go! Friday, March 9 was National Meatball Day, at least in the U.S. I’ve given plenty of recipes for meatballs over these years of blogging, from classic Italian-American meatballs with red sauce, through Spanish and Persian recipes as well. But there’s always room for more meatballs. I’m generally suspicious of anything called “Asian Style” in foods, because it usually means someone has added some soy, ginger, and garlic to pretty much anything. But I decided to try my hand at it for meatballs, and after looking at a bunch of online recipes I added sesame oil, scallions, and chili paste. The results were pretty good, and I figured they’d go well with the typical sour/spicy/sweet/salty dipping sauces you typically find with dumplings. Well, I think they’re even better if you dunk them in the sauce after cooking, and then put them back in the oven for a few minutes to set the sauce flavor on the outsides. So here’s my made-up Ginger-Sesame Meatballs. And I like them as an appetizer, served with our naturally sparkling wine, Domaine la Croix des Marchands Méthode Ancestrale Brut ($18). It has a touch of residual sweetness that goes really well with the sauce, and it tames the spice a bit too. Preheat oven to 400 degrees F and line a rimmed baking sheet with parchment paper or a non-stick mat. Combine everything except the turkey and bread crumbs in a large bowl and mix well. Break the turkey up in pieces and add to the bowl along with ½ cup of the bread crumbs. Mix well. Add up to 2 more tablespoons of bread crumbs if the mixture seems too liquid. Using a 1-1/2 inch ice cream scoop, make individual meatballs and space them evenly on the lined baking sheet. Bake 20 to 25 minutes, until they’re cooked through and have a little browning on them. Combine sauce ingredients in a large bowl, then pour half of the sauce into a smaller bowl for dipping. When the meatballs are cooked, gently put them into the large bowl with half the sauce, and stir to coat. Return the meatballs to the baking sheet and bake for another 5-7 minutes, until glazed. Serve hot or warm with the dipping sauce on the side. While I look forward to a kitten calendar every year, I realized that I’d been anticipating 2018 for quite a long time. It all goes back to the Kyoto Protocol, negotiated in 1997. As 2017 drew to a close, it occurred to me that I had unconsciously been looking forward to 2018 as an important year for a very long time. After a boozy New Year’s Eve and a little recovery time, I realized why: 2018 was supposed to be the beginning of the compliance period for the Kyoto Protocol, a global agreement to reduce the man-made greenhouse gas emissions that cause global warming. The agreement was hammered out in Kyoto, Japan, in 1997. A group of participating countries agreed to reduce their greenhouse gas emissions to 10 percent below 1990 levels by 2018-2020. As I’ve mentioned before, I spent many years working for an environmental advocacy organization. During the Kyoto negotiations and for a couple of years afterward, I did a ton of research on ways the U.S. could meet some of its goals without cost – that is, things that could be done that would pay for themselves in terms of reduced energy and materials use. My first calculations indicated that we could get at least halfway there without cost, and quickly. That would leave plenty of time for innovations that could take care of the rest. Heck, we were pretty confident that the U.S. could easily exceed Kyoto goals, even though the country’s electricity use kept climbing year after year. And it wasn’t just us green card-holding, tree-hugging weirdos who thought so. Even leading conservative writers at the time argued that we could easily meet the targets. If not with one hand tied behind our back, then at the very least with minimal economic disruption. Of course, there were plenty of dissenting voices. The principal argument on the right was that developing countries didn’t have binding targets, so why should we stick our neck out if China and India didn’t have to. And there were some on the left who thought Kyoto wouldn’t do enough and wanted something bigger. By the time President Obama was elected, the Kyoto Protocol was seen as a thing of the past. Instead, countries including the U.S. began working on an agreement that included binding targets for countries that hadn’t had to set them for Kyoto. This became the Paris Accord – adopted at the end of 2015, with a baseline of 2005 and reduction goals for 2020 and 2025. But since U.S. emissions grew substantially between 1990 and 2005, even the relatively ambitious goals of the Paris Accord still meant that the U.S. would be emitting more in 2020 than if we had stuck to Kyoto. ** I have no doubt that reduction strategies to meet the Kyoto targets would have resulted in getting us further than the Paris Accord’s 2025 goal as well, because we’d have laid the foundation for innovation instead of now playing catch-up. With the start of 2018, I decided to take a look at what might have been. Had we achieved emissions 10 percent below 1990, our current emissions would be about 13 percent lower than EPA’s latest estimate of our current levels. But that’s not the whole story. If we’d started the work of making reductions in 1998, we’d have put 20 percent less greenhouse gasses in total into the air over 20 years – equal to emitting nothing for four years. If you combine that with reductions from the other developed countries that signed Kyoto in 1997, it’s staggering to see what we could have accomplished, but didn’t. Looking at the impacts in my current wine-related career is equally sobering. Back in 2003, I started to read emerging studies on wine regions in the northern hemisphere moving northward because of global warming. I later realized that some wine producers had been sounding the alarm on this since the 1990s. The studies documented the migration and made general predictions that it would continue more rapidly. Activists in states with relatively new wine industries hoped that the potential economic impact could help persuade policymakers that greenhouse gas reduction goals were worthwhile. But the studies also concluded that it was impossible to predict what would happen in microclimate areas. Since virtually every wine-producing area can lay claim to some sort of microclimate, it was easy for national policymakers to ignore the predictions couched in modifiers. And while the wine industry is important to many states’ economies, it doesn’t have the same optics as even a single industrial facility employing thousands. Despite the fact that we didn’t have to choose between them. Obviously, there are way too many variables to make specific statements here. With China’s emissions increases it’s impossible to predict what the impact of U.S. reductions would have been. But there’s widespread agreement that global warming has exacerbated extreme weather events. And with the detrimental impacts of extreme weather on wine production in France and the U.S. this past year, I wonder if we could have helped avoid some of the damage by starting to act to reduce greenhouse gas emissions 20 years ago. Britain, British Columbia, Oregon, Washington State, and other current and emerging wine-producing regions are benefitting from the northward migration, and it’s hard to argue that quality wine from more places isn’t a good thing. But that could change as global warming accelerates, and more quickly than we imagine. It’s not inconceivable that certain wine regions will suffer greatly – particularly if they rely on irrigation. Even those that don’t rely heavily on irrigation have to contend with the ability of vines to adapt to widely changing conditions that haven’t existed before, assuming they can. If they can’t, we will definitely have to redraw the map of the wine world as we know it. Of course, people constantly wax nostalgic about the “good ol’ days,” especially wine drinkers. Back when I was a young wino I used to roll my eyes at older wine lovers telling me that I missed out on the glories of the 19xx vintages from Blah-Blah. But I’ve come to realize that some of the nostalgia is about a sense of place in addition to the wine itself. With the threats posed by global warming, it’s not hard to imagine that I’ll be yammering on to wine newbies decades younger about how they missed the great Bordeaux and California vintages of the 1980s. And some of the Rhônes from the late 1990s, 2003, and 2007 — assuming they’re not producing them in Scotland with climate migration, that is. (Perhaps Glasgow and its suburbs will become the new Châteauneuf du Pape.) And especially one of my favorite wine memories, the 1990 Veuve Cliquot Grande Dame. It’s a shame, really. Because while I definitely see myself as a “Grande Dame” someday, spouting wine information at will, I’d much rather be extolling the virtues of the wines of the future rather than just looking back on the glories of the past. And I hope I won’t still be regretting that we passed up an opportunity to take the first easy steps laid out in 1997. *The U.S. was the world’s largest annual greenhouse gas emitter through 2005, and cumulatively is still the largest. China exceeded the U.S. for annual emissions in 2006. **2005 U.S. greenhouse gas emissions were 15% higher than 1990 levels. Although the 2020 Paris Agreement goal was for emissions 17% below 2005 levels, this is still six percent higher than the Kyoto goal for 2020. I’ll be traveling to Portugal and France in the next couple of weeks, so I’ll have some new recipes in future posts. I’m now writing up an interview I did with David Leite, author of The New Portuguese Cookbook. David is also the creator of Leite’s Culinaria, a fantastic cooking site. He was really fun to talk with. And unlike all the other cookbook authors I’ve interviewed so far, his family actually made their own wine. One of my childhood food memories is making ravioli on Christmas eve to eat the next day. Last year, I got to introduce Cy to the tradition. He’s a natural! The holiday season brings back remembrances of all sorts of foods. One of my childhood memories is of making cheese ravioli on Christmas eve with my family, then storing them on baking sheets in the cold garage overnight to cook on Christmas day. It’s something my mother did as a child growing up in Brooklyn. We hadn’t made them in decades. Last year, I finally introduced Cy to the ravioli tradition. It turns out he’s a natural at making them! But most of my Christmas food memories are about sweets. My mother has made amazing cookies every year for as long as I can remember, and my sister and I helped (or “helped,” depending on our ages) for many of our formative years. The repertoire of cookies has changed since I was a kid, but she still makes two that I remember from childhood. One is jelly wreaths, which are really a decorative delivery system for large amounts of butter and strawberry jam. The other is Viennese Walnut Crescents, basically Mexican Wedding Cakes or Russian Tea Cakes shaped into crescents. What sets them apart, though, is that they’re rolled in confectioner’s sugar that has tiny pieces of vanilla bean in it. In the days before getting a food processor, this was done by mom chopping the vanilla bean with a knife, and then my sister or I pounding it with the sugar in a mortar and pestle. A perfect job for kids, as long as you don’t mind getting sugar all over the place. Whenever I smell vanilla beans, it takes me right back to those days of vanilla-scented flying powdered sugar. Out on my own, I’ve continued the cookie tradition. Especially since Cy and I have now been having our annual eggnog party for nearly two decades. We make three different kinds of eggnog all without booze, and then let our guests add their libation of choice into their cups of eggnog. There’s pretty much no cookie or holiday sweet that doesn’t benefit from a little eggnog alongside. But we also serve wine for the nog-averse. And for people who have had just a little too much fat and sugar as the evening goes on. None of our guests has ever complained about eating cookies with wine. And sometimes white wine is a good pairing for cookies, especially if it’s a white with even the tiniest bit of residual sugar. But Cy and I had been looking for a treat that would go well with both red wine and eggnog. 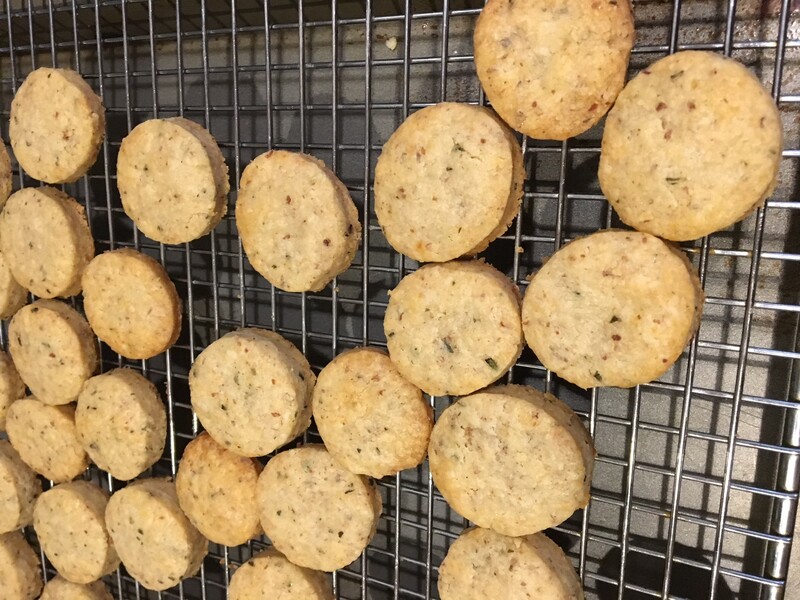 Last year, we finally found one: Dorie Greenspan’s Rosemary Parm Cookies. I’ve written about Dorie Greenspan a few times in this blog, and was fortunate to interview her about wine last year. She’s one of my favorite cookbook authors, and I know that giving her cookbooks as gifts is a sure-fire way to make friends. As part of her publicity tour for Dorie’s Cookies, released in October 2016, she did a cookie-filled event at the National Press Club here in DC. It was my introduction to the world of savory cookies, since the evening started out with wine and a selection of savory treats from the book. Even though they’re called “savory,” they still have some sugar in them for texture and flavor. And that bit of sugar makes them excellent accompaniments to both eggnog and wine without being sweet enough to make the wine taste bitter. 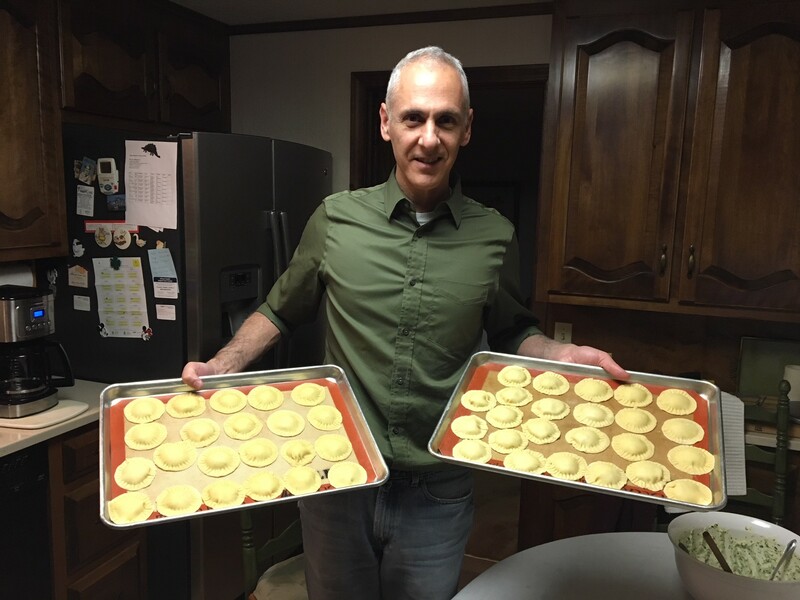 I tried the Rosemary Parm Cookies last year, and they were a huge hit – I’m making even more of them this year so we don’t run out. I asked Dorie for permission to reprint the recipe here, and she graciously gave it. The recipe is completely self-explanatory, so I won’t go on about it here. Except to entreat you to weigh your ingredients, in grams, as directed. Volume measurements may be the stuff of our childhoods, but traditions deserve tweaking when something better comes along. And if you don’t have a good kitchen scale, well, then it’s something to put on your gift wish list. As usual, we’ll be putting out a whole bunch of wines at the party. But there’s one I think will go especially well with the cookies. Château d’Assas Réserve ($18) is made from Syrah, Grenache, and Mourvèdre, and as I’ve written before, is part of my own family history. So it makes this new holiday tradition fit right in. Enjoy your holidays, whatever and wherever you celebrate. And thanks to you all for another year of reading my blog musings! Rosemary Parm cookies from Dorie Greenspan’s book “Dorie’s Cookies.” They’re just one of the savory cookies in the book, and pair perfectly with eggnog and red wine. Working in a small bowl, rub the sugar and chopped rosemary together with your fingertips until the sugar is most and aromatic and maybe even tinged with green. Turn the dough out and divide it in half. Pat each half into a disk. Working with one disk at a time, place the dough between two pieces of parchment paper and roll to a thickness of ¼ inch. Slide the dough, still between the paper, onto a baking sheet – you can stack the slabs – and freeze for at least 1 hour. Center a rack in the oven and preheat to 350 degrees F. Line a baking sheet with parchment paper or a silicone baking mat. [You can also use one of the pieces of parchment from rolling the dough.] Have a 1-1/2 inch-diameter cookie cutter at hand. Working with one piece of dough at a time, peel away the top and bottom papers and return the dough to one piece of paper. Cut out as many cookies as you can and put them on the lined sheet, leaving about an inch between them. Gather the scraps, then combine them with the scraps you got from the second sheet of dough, re-roll, freeze, cut, and bake. Bake the cookies one sheet at a time for about 15 minutes, rotating the baking sheet at the midway mark, or until they’re golden and set. Let the cookies rest on the baking sheet for 3 minutes, then transfer them to a rack to cook completely. Repeat with the remaining dough, always making certain you start with a cool baking sheet. Storing: The rolled-out dough can be wrapped well and frozen for up to 2 months, cut and bake directly from the freezer. The baked cookies can be kept in a covered container for up to 1 week at room temperature. I’ve noticed as I get older that I don’t sleep as well as I used to. So I set aside time to listen to Dr. Matthew Walker’s interview on “Fresh Air.” He’s the director of UC Berkeley’s Center for Human Sleep Science, and talked with Terry Gross about the findings in his new book, Why We Sleep. Walker confirmed my suspicions about my own sleep, citing the brain’s decreasing ability to generate sleep as we age. But there was another part of the conversation that made me sit up and listen: using alcohol as a “nightcap” not only doesn’t work, it’s counterproductive. As someone in the wine business, I’d heard that alcohol can interfere with sleep before. But Walker’s warning went further. Alcohol has a sedative effect, so it can put us to sleep. Not surprising, since that’s why many people have a glass of wine or a nip of something before going to bed. The problem is that alcohol-induced sleep isn’t anything like natural sleep, which we need to function normally. It lacks the physically restorative effects of natural sleep. Not only that, your sleep will be more fragmented. You’ll actually wake up several times during the night, although you won’t realize it. So when you get up in the morning, you’ll have no idea how much sleep you actually lost. And worst of all, alcohol blocks REM sleep – which we need for mental and emotional well-being. This doesn’t necessarily counter the arguments about alcohol’s health benefits. (Except for the ridiculous notion that a glass of wine before bed will help you lose weight.) But it does mean you need to think carefully about when you drink. Obviously, I wouldn’t recommend not drinking wine in the evenings (talk about career suicide). Perhaps we all need to think about leaving enough time between the final glass and going to bed, though. Getting the alcohol metabolized first could be key to sleeping better. The alcohol will make us feel tired and wanting to go to bed, but it’s better to resist for a while. Just like you wouldn’t drive with too much alcohol in your system, it’s probably wise not to succumb to sleep, either. Take some time to get the alcohol out of your system before you go to bed. One way to do this is to clean up after that dinner party instead of waiting until morning. 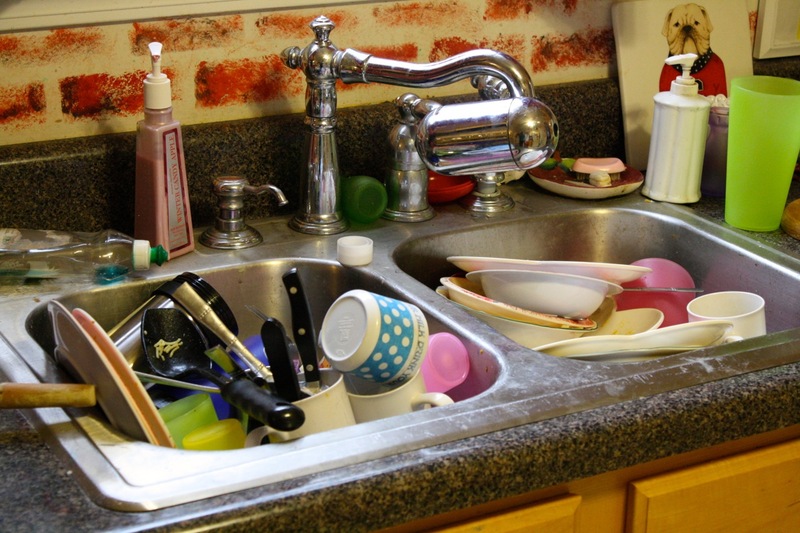 So maybe you should clean up after that dinner party instead of leaving it until morning. Take the dog for a walk instead of just a trip to the backyard. I’m sure you can think of plenty of things to do other than sleep with a little wine in you! I think I’ve mentioned before that Cy and I are part of a dinner group that has themed dinners. Our most recent one was a dinner with recipes from Jerusalem-born chef Yotam Ottolenghi. Cy and I made a grape leaf and yogurt pie, which is a classic recipe from Turkey. It’s baked, thickened yogurt surrounded by grape leaves, and it was tasty and easy to serve. Cy’s and my attempt at Yotam Ottolenghi’s grape leaf and yogurt pie, which was the inspiration for the latest recipe. Ottolenghi tops the pie with bread crumbs, but I don’t think it needs them. Cy’s family often has stuffed grape leaves at special-occasion meals. They’re delicious, and it can be a fun project to fill and roll the individual leaves if you have time. 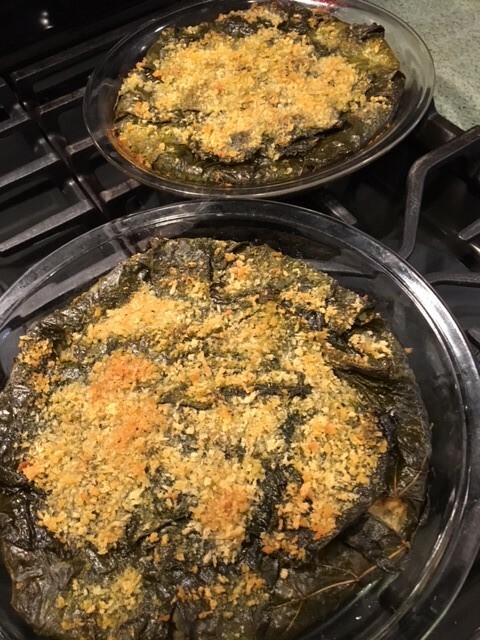 But it also occurred to me that I could take the pie as inspiration: line the pie plate with grape leaves and then put the traditional rice filling inside. Bake it for a half hour, and you’d save yourself time but still have the same flavor. You can serve it at room temperature, which is also a plus. Well, it turned out beautifully. We served the yogurt version with Bodega Traslagares Verdejo ($13), and it works with the rice version, which I like to top with a little yogurt before serving. Leftovers are good, too – let it warm up a bit since the rice has a crumbly texture when it’s cold. You can even eat it right before bed, just not with the wine! Preheat the oven to 350 degrees F. Brush an 8- or 9-inch glass pie plate with olive oil. Take a look at the grape leaves and cut off any protruding stems. Starting on the sides, arrange some of the grape leaves to go around the pie plate, about half of each leaf should go beyond the rim. Fill in the bottom of the plate, then brush liberally with olive oil. Combine the rice, pine nuts, currants, herbs, lemon zest and juice, salt, and pepper in a medium bowl. Add ¼ cup of the vegetable stock. The mixture should be moist and hold together if you pick up some and squeeze it in your hand. Add more stock if necessary. Taste for seasoning. Spoon the rice mixture into the lined pie plate, pressing down gently. Fold the leaves over the filling, then brush with more oil. Put another layer of grape leaves on top and brush again with oil. Bake for 25 to 30 minutes, the top leaves should be crispy and the filling should be hot (check with an instant-read thermometer). Let the pie cool, then slice and serve, topped with yogurt if you’d like. One of the many stops during more than a decade of travel in France looking for wines to import to the U.S. This was in Alsace in 2009. Not every visit results in a wine purchase, though, and I don’t carry Alsatian wines…at least not yet. The first book I read when I was thinking of becoming a wine importer was Kermit Lynch’s Adventures on the Wine Route. And I think if you asked most people in the wine business, they’d tell you it was an early read for them, too. When the book was published in 1988, it covered 15 years of Lynch’s experience starting in the 1970s. He’s a good writer, and his portrayals of the winemakers he came to know are vivid. Probably everyone in the business who has even a casual relationship with winemakers anywhere in the world will find Lynch’s portraits recognizable today. 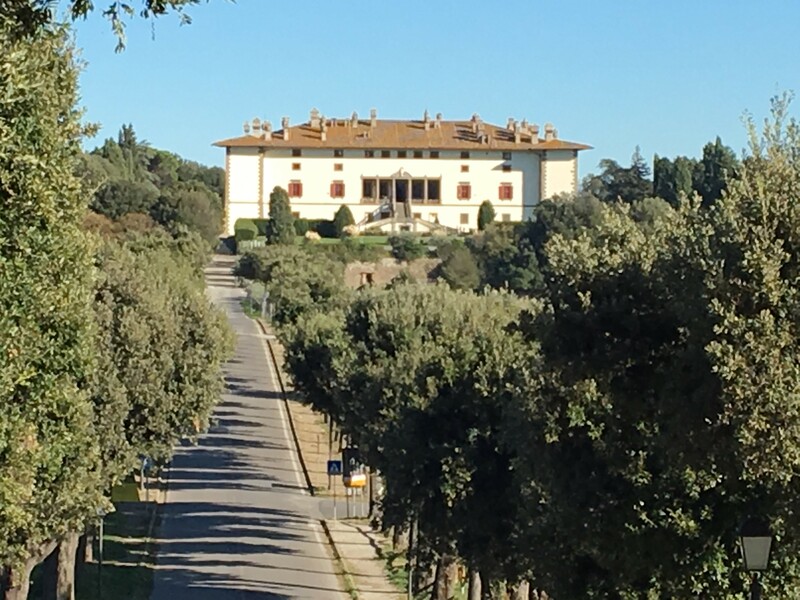 However, nearly everything else about the wine business has changed since then, and reading the book is almost like looking out your window and seeing someone go by in a horse and buggy. It makes me a little sad to think that I came to the business too late to have experienced the joy of meandering through the French countryside, visiting previously-unknown wineries with barely legible signs, and discovering gems the way Lynch seems to have been able to do. First off, there are a lot more independent wine producers in France than there were when I first started. Wandering won’t cut it anymore, you have to have a plan and hit the ground running. Many of these relatively new independent producers are farmers who had formerly sold their grapes to their village cooperatives. Elevation of some villages to cru status, like Vinsobres and Cairanne in the southern Rhône valley (and the spate of new crus in the Languedoc as well), has sped this process. If farmers can earn more starting wine production to make a cru wine than they could selling the grapes to the cooperative, then you’ll see more of them doing just that. With or without cru elevation, I’ve also noticed that when farming responsibilities pass to the younger generation, the new farmers often decide to make wine in addition to growing the grapes. A lot of newly-minted winemakers have joined the party without those family connections as well. In a region like the Languedoc where grape-growing conditions are so good, you’ll find new farmer-winemakers who relish making wines that wouldn’t have been made just 10 years ago. They’re worried less about the appellation requirements than making what they like. In the past, they might have decided not to get into the business at all if they had to conform to the rigidity of the appellation/naming rules, but now they know there will be a market for producing what they want to, as long as the quality is there. An example — on my last importer trip to the Languedoc, I drank an excellent blend of Cabernet Sauvignon and Sangiovese. I wouldn’t have seen that blend made in the Languedoc on my first trip to the region in 2008, that’s for sure. On some scouting trips, you can go with your gut about finding great wines. 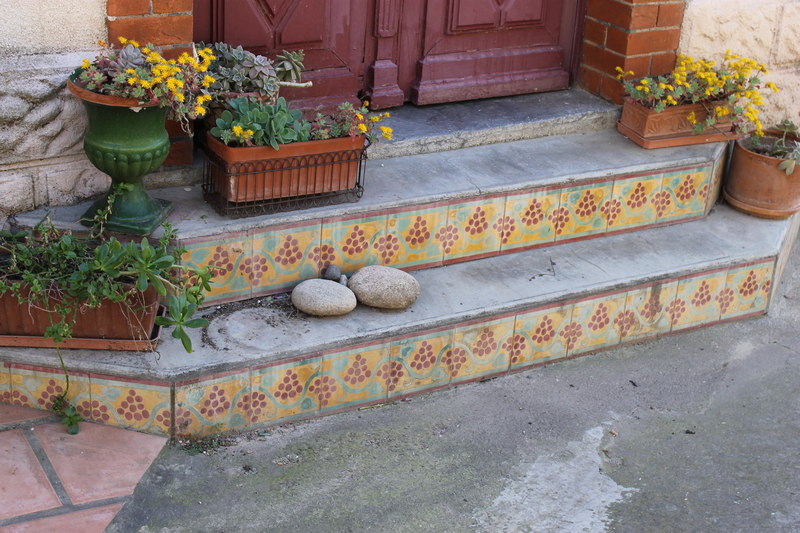 This is the entrance to a small tasting room in the Languedoc, and the wines were indeed wonderful. A case where the beautiful tiles advertising the wines turned out to be true! But most of the time it takes planning and research, in addition to luck. Part of this diversity is due to my second change issue, the internet. It has changed our lives, so we’d expect it has changed much about the wine business, too. Combined with my third point, the rise of the E.U., most winemakers have found they have a built-in marketing tool that they didn’t have before. While they might have relied on a trade association in the past, they don’t automatically have to now – and they often e-mail directly looking for importers rather than waiting for importers to come to them. Trade shows have become a lot more sophisticated and business-oriented as well. The E.U. also created a huge market just beyond France’s border that is much more accessible than it was before. While many producers are happy to export to the U.S. (it’s a big market after all), some of them are deciding to avoid U.S. requirements and stick to Europe since labeling and other paperwork are easier for them. Finally, as much as it pains me to say it, France just isn’t the center of the winemaking world that it used to be. Kermit Lynch could be sure that he could bring over almost any quality wine and it would sell – it would be something new for many of his customers and French wine was still the ne plus ultra. 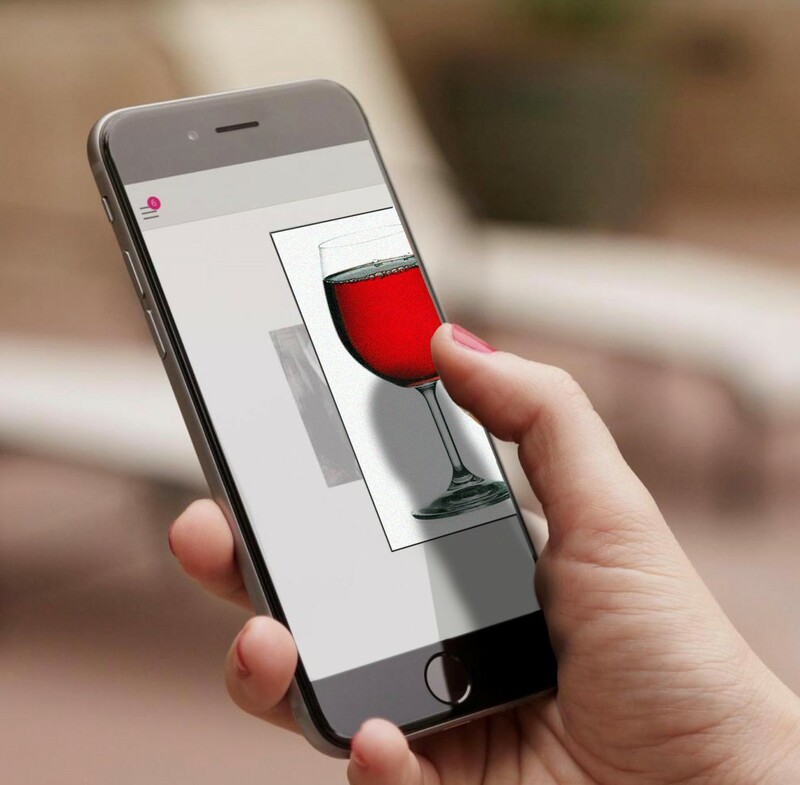 The wine world is a much bigger place, and customers have a huge variety both down the street at their local shops and at their fingertips online. Excellent wines come from many places. And while I think on average French wines are still great values, people are coming to value variety as well. As I said earlier, though, one thing that definitely hasn’t changed is that I’ve met some of the world’s most delightful people during my 10+ years in the business. Much is made of the natural reserve most French people seem to have – you hear stories of people talking across their fences for years before one will invite the other to his home. And that’s true to some extent. I didn’t see the instant informality of the U.S. when I started buying French wines. Everything was polite and efficient at first, and continues to be. But once I had worked with my producers for a couple of years, I started getting invitations to their homes and to meet their families. A love of good wine often comes with an equal enjoyment of good food. Add to this that you’re dealing with people who are doing something they love, and nothing makes them happier than sharing what they’ve made with others. Like Kermit Lynch relates in his book, some of my most memorable times have been spent in the company of my wine producers. Since that tradition continues, I can’t help but think the rest will work itself out, despite the changes as time goes on. I tried something new this summer – water bath canning. The first thing I wanted to do was pickle the hot cherry peppers that Cy grows in pots on our tiny back slab and deck. And while I could pickle them and just refrigerate them for use if there were just a few, Cy’s green thumb resulted in pounds of them. So I had to preserve them for longer. I didn’t want to buy one of those big canning pots, though, and no one I know has one. But a neighbor told me I could use a big stockpot as long as I had a rack that would fit inside it to keep the jars off the bottom. All I really needed was the jar lifter tool for getting the jars into and out of the hot water. So for $6.99 plus the cost of the mason jars, I was on my way to home food preservation. The first batch of pickled cherry peppers this summer, three pints. And there were more to come, too. After the peppers, I tried canning tomato passata, which is a lightly-cooked tomato puree. It’s a great thing to do with those “seconds” tomatoes you find at farmers’ markets this time of year. The passata is pretty versatile, and I know I’ll find plenty of ways to use it. But the cherry peppers? Great with cheese, in relishes and Giardinera, on sandwiches, and stuffed with tuna. I hadn’t really used them in cooking before, though, so I thought I should concentrate on that. After looking around at various websites for clues, I put together a recipe for boneless thick-cut pork chops in a white wine sauce that also contains the pickled cherry peppers, olives, and capers. Pretty simple overall, and it cooks up in about a half hour. Salt the pork chops and set them aside while you prep the rest of the ingredients. Then flour and brown the chops and put them in the oven to finish cooking. Cook some onions and garlic in the skillet, add the cut-up cherry peppers, olives, and capers, along with some wine and vegetable stock, and boil for a few minutes. Then add the chops in and cook for just a couple of minutes more. The sauce will thicken a bit and everything will come together nicely. Pretty much any white wine with some acidity will work here, but I like to use Cave la Vinsobraise Côtes du Rhône White ($12). It’s a workhorse wine for cooking that also drinks really well. There’s enough acidity to stand up to the vinegar in the peppers, olives, and capers, and it still has plenty of fruit. Plus it’s from the village that started my wine route journey, so you’ll always find it in my cellar. Preheat the oven to 350 degrees F. Line a baking sheet with foil, and spray the foil with some nonstick spray. Set aside. Put the pork chops on a plate and season them with plenty of salt and pepper. More salt than you think you might need, about 1-1/2 teaspoons total. Set them aside for a couple of minutes while you prep the onions, garlic, and cherry peppers. Heat the oil in a large nonstick skillet. Put the flour on a small plate and dredge the chops, making sure to cover all the surfaces. Brown the chops over medium-high heat, about 2-3 minutes per side. Transfer the chops to the prepared baking sheet and put in the oven to finish cooking, about 15 minutes. They should be just barely pink in the middle and temp out at 140 degrees F.
In the meantime, saute the onions in the same skillet, adding a little oil if necessary, along with a pinch of salt. When the onions are soft, about 10 minutes, add the garlic and cook for another minute. Add the cherry peppers, capers, and olives, along with the wine and vegetable stock. Turn the heat up to high and cook until the liquid reduces by half, about 5 minutes. The chops should be out of the oven now, add them to the skillet and turn a couple of times to coat them with the sauce. Serve hot. 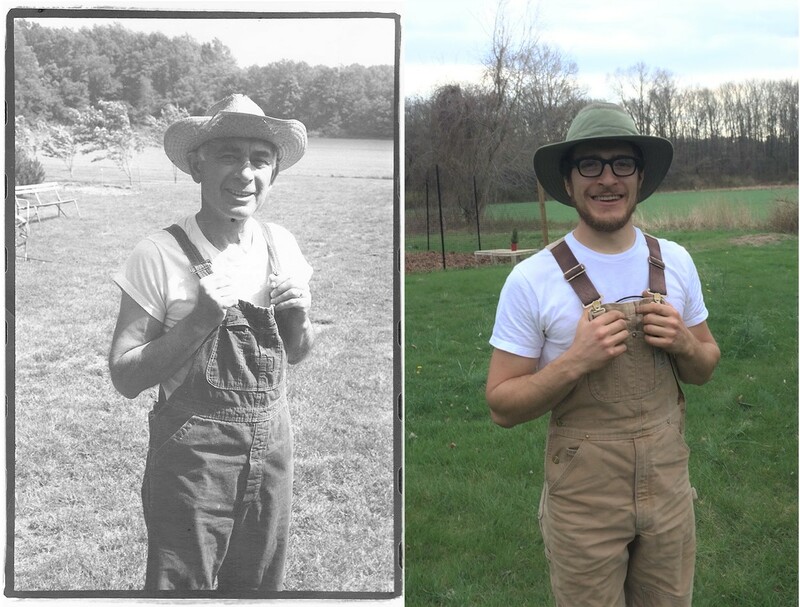 New Jersey farmer Gabriel Siciliano of Abe’s Acres Farm on the right — he’s taking the same pose as his grandfather, Joe Notterman, who farmed and was also a psychology professor at Princeton. Cy and I met Gabe selling his produce at a farm stand and I contacted him to talk about sustainable farming. I’ve written a lot about sustainability over the past year and how it relates to wine grape growing and wine production. But it hadn’t occurred to me to look at how sustainability works in other agricultural sectors. Then while driving home from Provincetown last month, Cy and I stopped for lunch at the Americana Diner in Hightstown, NJ, which is Cy’s hometown. The diner gets particularly crowded on weekends, and there’s a wait for tables. This summer, customers had the opportunity to buy fresh produce during their waits from a local farmer who set up a stand out front – Gabriel Siciliano of Abe’s Acres Farm in Hightstown. Cy and I chatted with Gabe and bought some beautiful produce. After we were back home, Cy looked at Gabe’s website and read me the description: “Produce and herbs grown sustainably in Hightstown, New Jersey! Our products are better than organic… ask us how!” Given my skepticism about sustainability, I decided to take him up on it and ask. We spoke about a week later, and I learned a lot about small-scale organic and sustainable farming. This post is an edited version of our conversation. First, though, a little about Gabe and the farm. Gabe is 25 years old, and 2017 is his first year of commercial farming. He grows mixed annuals on 1.5 acres. The land is part of a 200+-acre property that was purchased by his great-grandfather, Abraham Feldsher, in the 1930s. Gabe’s grandfather (Abraham’s son-in-law), Joe Notterman, continued the family farm, and he was also a psychology professor at Princeton University. The property was eventually rented to another farmer who still grows soybeans on most of the land. Gabe was able to carve out his parcel for farming with only minor soil amending, and has plans to expand in the future. A fun coincidence: when Cy mentioned that he grew up in Hightstown, Gabe said, “Then I’ll bet my grandmother was your pediatrician.” Dr. Rebecca Notterman was indeed Cy’s pediatrician – the town’s pediatrician, in fact – and Cy remembers her fondly. She is 92 now and only recently retired from practice. So Gabe has deep roots in the community. In that way, he reminded me of the wine producers I buy from, whose families often lived on the vineyard land for generations and are community leaders as well. You’ve named your farm Abe’s Acres after your great-grandfather. Had he always been a farmer? No, not at all. My great-grandfather came to the U.S. from Russia during the pogroms. As a Jewish man, he wasn’t allowed to own property so he wasn’t a landowner, and he hadn’t been a farmer. He became a grocer in Brooklyn when he came to this country. But he really wanted to do what had been denied him and buy land, so he and his wife moved to Hightstown with their three young daughters, including my grandmother – who later became your husband’s pediatrician. That’s a great story! 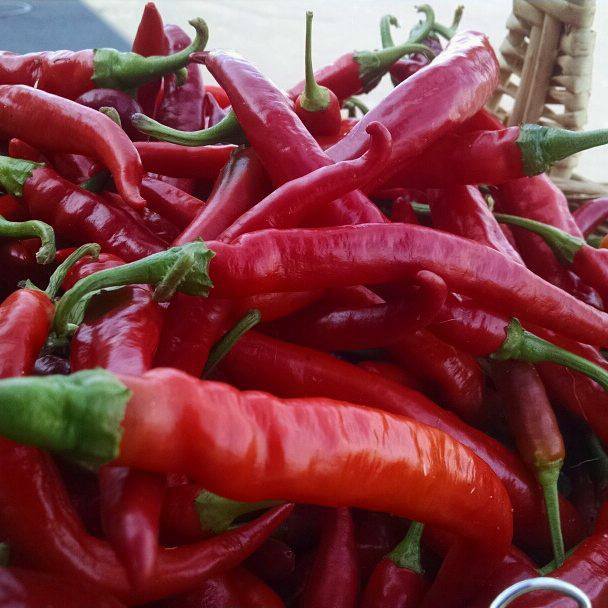 When we spoke at the farm stand, you mentioned that you’re supplying a few local restaurants in addition to selling to the public. What have you grown this year? A range of annual vegetables — potatoes, tomatoes, peppers, eggplants, beets, chard, kale, carrots, turnips, and parsnips. It’s tough to rattle them off like this, I may have left something out! I’ll grow garlic over the winter and harvest it in the spring, too. How did you get interested in the environmental aspects of agriculture? Through the apprenticeships I did before starting the farm. One was at Chickadee Creek Farm in New Jersey that taught me about the economics of organic farming. The other was at Quail Hill Farm on Long Island. It’s also a land trust, and without some of the financial pressures on them they are able to push the envelope on truly sustainable practices. You really made me curious by saying on your website that you thought sustainable farming was better than organic. I’ve come to the conclusion – at least for sustainable winemaking and grape-growing – that the economic part of sustainability tends to outweigh the other parts, so I’m not necessarily a fan. Why are you? I’m kind of a purist when it comes to sustainability and I go back to what I think is its original definition: Meeting current needs, and making sure that future generations can meet their needs as well. So how do you think that this is any different than, say, the CEO of a large oil company would view sustainability? Because of the word “needs.” It should be about meeting our needs, not our wants. Not the level of consumption we have now for things like food and textiles and water use. Because our current production system and consumption level is unsustainable. Even if there’s a certification for it. The other thing is that you’re right — industry, and even super-large agriculture, thinks mostly of being economically sustainable. That is, how long can they sustain their current activity and still make a profit. I found the same thing when I was doing environmental work, evaluating pollution prevention plans for industrial facilities in New Jersey. Even if projects seemed like no-brainers financially, most facilities wouldn’t do them. I’m not surprised, most factories are going to want as many years out of current operations as possible. Eventually they’re going to have to completely re-tool anyway, and they’d want to spend as little as possible in the meantime. But the problem with that is, it puts the onus on the consumer rather than the producer to learn if production is done as efficiently and with as little possible harm as they can manage. Gabe says he sometimes gets a little jealous of other farmers’ photos on Instagram. But his own photos look pretty good, too. And on the surrounding community, too, I absolutely agree. So in the interests of informing the consumer, why would you choose sustainable rather than organic? Particularly when the rules for organic certification are codified, and sustainability doesn’t really have rules. Don’t get me wrong, I think organic is a good starting point. I’m in my first year of three to becoming organic certified. But until I’m certified, USDA won’t allow me to use the word organic. I can’t use it on any signage, packaging, etc. Really? You can’t say that you’re in organic transition? I could say that talking to people at the farm stand and to my restaurant customers – and I do, just not on paper. But I find it’s a lot easier to talk about sustainability because I’m following the organic rules, but also pulling in other things I think are important. Then I can talk about those as well with my customers. Also, I think the USDA organic standards are below par. Then why go for organic certification at all? Well, as I said, it’s a place to start. Some farmers don’t want to, because while the costs of certification are partially subsidized, it means a lot more bureaucracy than normal. I look at it as an opportunity, though, because it’s a lot harder to make changes to the system if you don’t participate. As for the standards, I think farmers have a responsibility to ameliorate as much potential environmental effects as possible, from chemical use to soil conservation and climate change mitigation. “Organic” as we know it is only a part of that. Did you have to do anything to your soil to begin the process of transition to organic certification? Not much. The land has been farmed by someone growing soybeans. So the only things used were some artificial fertilizers and Roundup – since it’s practically impossible to grow any soybeans other than the Roundup-ready ones these days. But none of that stuff persisted in the soil. After the initial testing, I was asked to amend the soil with some elemental boron, since it was low. That made me scratch my head a little. How so? Well, elemental boron is an artificial product, it doesn’t exist in nature. If I hadn’t been instructed to use it prior to planting, I wouldn’t have been allowed to use it later under the USDA rules. It’s too bad, because elemental boron is also a safe herbicide, so it could be even more useful. You’ve mentioned water use a number of times, so I imagine that’s something you’re focusing on. Yes, absolutely. I’m using drip irrigation, because you pretty much have to irrigate annuals most years. But I’m always looking to save on water and the associated costs like pumping. I’d like to start some perennials like asparagus and artichokes, because they’re dry-farmed. I hear that’s happening more these days in vineyards, too. Yes, nearly all of the European wine producers I import from operate irrigation-free. And you’re finding it more in U.S. vineyards, too. It forces grapevines to get deep roots with lots of soil contact. And the older the vines get, the more concentrated the grapes become. This is true of grapevines in general, but even more with dry farming. That’s interesting. There are plenty of orchards with older trees around here, but I don’t know if they produce better fruit than younger trees. At one of our local ag meetings, the owner of Terhune Orchards in Princeton told me that less irrigation produces sweeter fruit, so he tries to irrigate as little as possible. I wonder that you have time for meetings! It seems like a lot of work, even on 1.5 acres. How much time do you spend on it? In theory, it’s 50 hours per week per acre. So this is basically an 80 hour-a-week job for you? That must make it difficult to do other things. Yes, pretty much. It’s my first year and I’m doing it myself, unless I can get someone to help, usually that’s for things like the farm stands. But I’d like to expand. In five years I’d like to have between nine and 12 acres, and maybe five employees. In the meantime, though, it’s hard work keeping it all together. I have to admit I have some jealousy when I look at pictures of other people’s farms on Instagram! I think everyone with the app has some Insta-jealousy. And looking at your site, you’ve clearly found a way to take enviable photos already. It was great talking to you, and I look forward to checking in as you go forward. Thanks, Tom – it was great meeting you and Cy, and I’d love to talk with you again. It seems funny not to add a recipe to a post of a conversation with a vegetable farmer. Sorry about that. But the weather is making me think more of fall and I’m coming up with recipes for the season. Next post, I promise! As promised in the previous post, this is the last of three summer wine recipes. I’ll be posting more recipes, of course – but this is the last of a series designed specifically for summer eating. In addition, I made two challenges to myself. First, each recipe has to contain a fairly significant amount of wine: at least a cup of wine for four to six servings. The second qualification is that the wine shouldn’t cook for very long, to preserve some of the wine’s freshness. I think this recipe is particularly fun and unusual – Apricot and White Wine Soup. Fruit soups in summertime aren’t new to most people these days. For example, watermelon gazpacho is a perennial favorite, and strawberry soup is a classic for early summer. Still, those use raw fruit, and this is a recipe for lightly cooked fruit and wine, with just a few other ingredients. 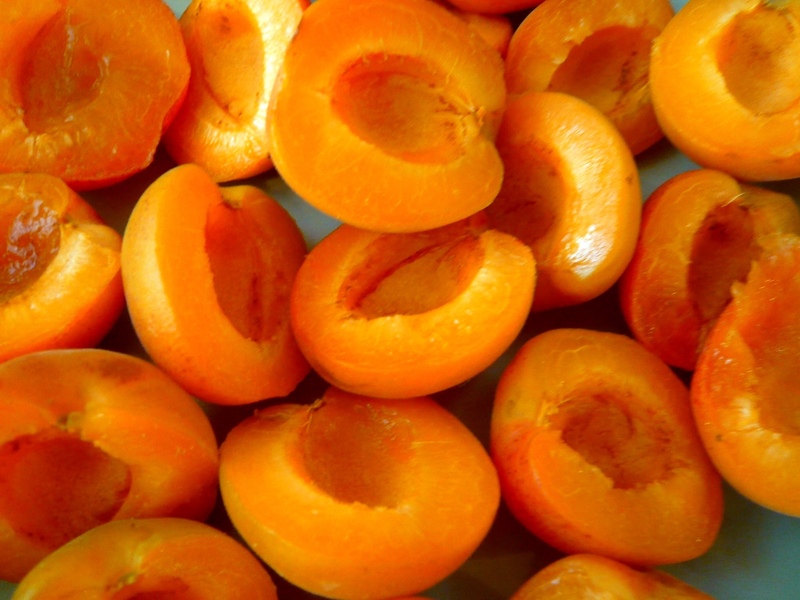 Apricots run the gamut from fairly tart to lightly sweet. If you’ve never tried them fresh and only had apricot jam, you’d be right in wondering what the fuss is all about. Most commercial apricot jams and preserves have so much sugar that they taste like they could be made with almost any orange-gold fruit. But fresh apricots are a great accompaniment to savory foods, particularly chicken. In fact, I serve a cup of the soup on the same plate with all sorts of chicken dishes, like this Ina Garten recipe (an old standby in my house). And it’s a great soup to serve with a chicken salad sandwich. Les Terrasses de Perret Muscat Sec ($12) is ideal both in the soup and for serving with it. Muscat is usually a sweet dessert wine. But dry Muscat has all the floral aromas and flavors without the sweetness. Smell it before you taste it – the aroma tricks you into thinking it’ll be a sweet wine, which makes it all the more surprising when you taste it. It’s also a great wine for spicy dishes, and for Asian or Indian food. I hope you’ve enjoyed this summer diversion. Next post I’ll be back to the wine talk you expect from me! Combine the apricots, 2 tablespoons of honey, the orange juice and zest, salt, and 1 cup of the wine in a large saucepan. Bring to a boil, reduce the heat to simmer, cover, and cook for 20 minutes. Turn off the heat and let the mixture sit for 15 minutes. Remove the orange zest pieces and puree or put through a food mill. Chill for at least 2 hours. Before serving, add the vanilla and the remaining ¼ cup of wine. Taste and add up to 2 tablespoons more honey if the mixture is too tart. You’re not looking for it to be sweet, but the honey will balance the acidity of the soup. Serve cool or cold. Top each serving with a tablespoon of softened Mascarpone. Happy August! Cy and I have been on vacation. I meant to put up a recipe while we were away, but it just didn’t happen. Mostly because there wasn’t a rainy day where I’d have been inside looking for things to do…but hey, I can’t complain about good weather on vacation! Last time I promised some summer food recipes with wine. Not just a little splash, but using at least a cup of wine for four servings and not cooking it for hours like in a stew. The idea is that you’d taste at least some of the wine’s freshness. 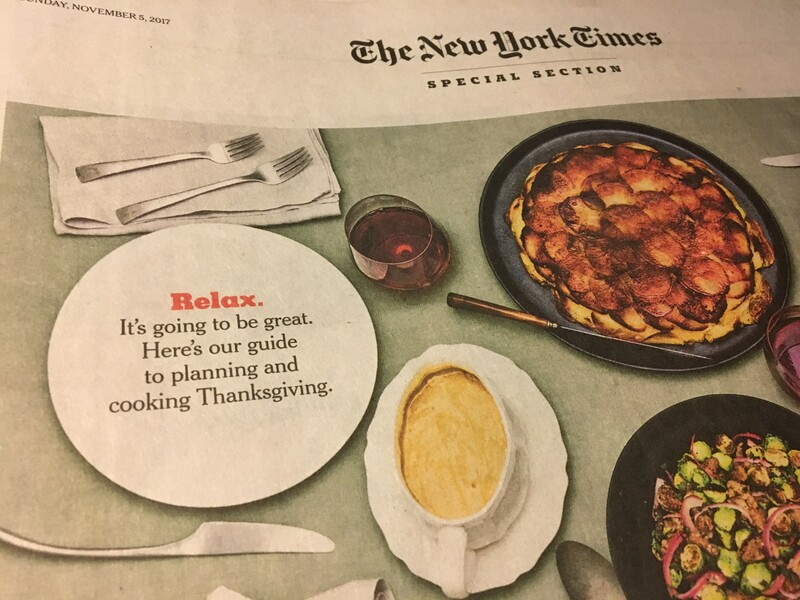 And I figured they shouldn’t all be chilled recipes, either, because that seems a little like cheating. I started thinking about cooking things in wine, like poaching fish or chicken and then using the wine as a sauce. Still working on that. But then I remembered a recipe I saw Michael Chiarello do on his old Food Network show – cooking spaghetti first halfway in water, then finishing the cooking in a whole bottle of red wine, finally tossing it with cooked broccolini, garlic, and cheese. I’ve seen plenty of variations on spaghetti cooked in red wine since then. But I hadn’t seen any using white wine, so I decided to investigate. Every recipe I found online seemed to be a variation of one published by Cooks Illustrated in 2012. They also par-cook the spaghetti in water, but in the meantime boil down some of the wine to concentrate its flavor before cooking the spaghetti in the rest of the wine. I thought it was really tasty, but of course I had to change it some. The biggest change came from Cy’s saying that it would make a great base for spaghetti with clams – and he’s right, it does. I’ve included a clam sauce variation below. But I also changed the cooking method a bit, and added herbs other than the greens in the original recipe. Plus toasted bread crumbs, which give it some crunch. They’re particularly nice with the clams. 1) You need a light-bodied white wine not aged in oak and that’s not too acidic. While acidity generally evaporates when you cook wine for a while, this doesn’t get cooked for very long and you can easily end up with a sour taste. Even with the added sugar – which you definitely shouldn’t skip, although you might be tempted. And boiling down wine that’s aged in oak can definitely add a bitter taste. 2) This dish has to be eaten right away. Not only won’t it sit around, it also doesn’t keep well. I had some left over and the night in the fridge gave it a metallic taste, plus it just didn’t look appealing. So make it, sit down, and eat. Get everything else for the meal ready ahead of time so there’s not too much delay. Of course, I have a wine recommendation: I use Domaine de Mairan Chardonnay Classique ($13) and it turns out beautifully. And it’s great to serve with the spaghetti, too. Or, you can drink a bigger-bodied white, like Château de Clapier Soprano ($20). It’s aged in oak, which complements the dish well, even though you wouldn’t cook the spaghetti in it. Now that the summertime wine-filled hot dish is done, it’ll be back to something chilled next time. It is August, after all! 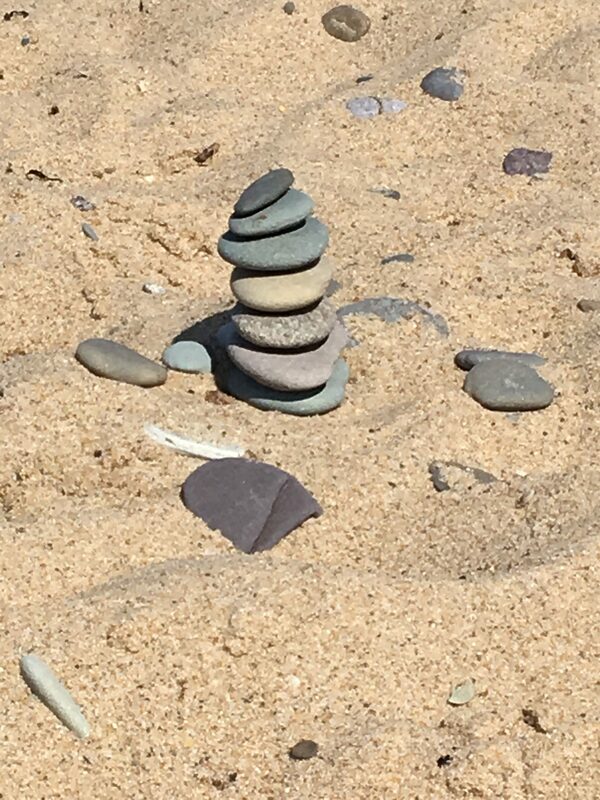 Not something I did on vacation, but Cy did!